After Hezbollah’s January 18 retaliatory attacks against Israel forces, Hassan Nasrallah, the group’s leader, retreated from further confrontation with Tel Aviv. “We don’t want a war,” he remarked. 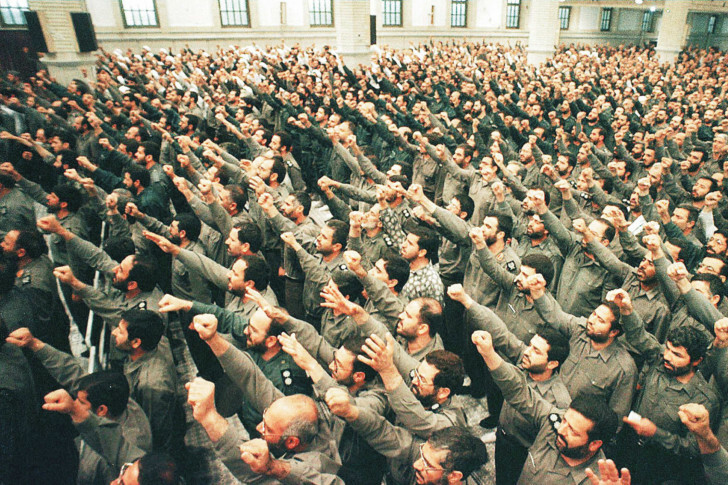 Nevertheless, contrary to expectations, Iranian Revolutionary Guard Corps (IRGC) commanders and hardliners in the country intensified their threats against Israel and even suggested that a war was on the horizon. At a January 30 conference titled ‘Jihad Will Continue’, Mohammad Ali Jafari, the IRGC’s top commander, told reporters that the Israelis “should await a stronger response not only around their borders, but anywhere in the world where Zionist Israelis are”. Several other IRGC commanders and news outlets with ties to the IRGC took the same threatening position, with Jafari’s deputy warning that “Iran has prepared itself for a war with world powers and the Israelis are much smaller than that”. Considering that these threats come after what the Iranians have called a “great victory for Hezbollah”, one may wonder what explains this aggressive posture. There could be three explanations. First, it is possible that these threats are for domestic consumption, targeting an Iranian audience, primarily conservatives, to mask Tehran’s lack of a response to the Israeli attack. This could be a plausible hypothesis because Iran does not want to risk a full-fledged war with Israel unless it is absolutely necessary and the survival of the system is in danger. To Iran, the current circumstances — the death of one of its generals, especially after Israel’s denial of any knowledge of the general’s presence in the Hezbollah convoy in Syria — do not justify a war with Israel. Even if the Israeli explanation lacks muster, its statement implicitly expresses regret in an effort to de-escalate the situation. One should remember that in 1998, the Taliban, sworn enemies of the Shiites, attacked the Iranian consulate in Mazar-e-Sharif, capturing and killing nine Iranians, eight of them diplomats. Following the incident, Iran amassed 100,000 troops on the Afghanistan border. The members of the Supreme National Security Council (SNSC), including the mellow president Mohammad Khatami, overwhelmingly voted for attacking Afghanistan. The Supreme Leader would in a vast majority of cases follow the decisions made by the majority of the SNSC, despite his authority, based on Article 176 of the Iranian Constitution, to veto its decisions. This time, however, he vetoed the SNSC majority decision, and the attack was called off. It is important to note that Iran’s leader did not support the IRGC position. His anti-Israel position is well known, but he did not issue a statement that Iran would take its own revenge, regardless of Hezbollah. The second explanation may be tied to a classic good-cop, bad-cop approach: Negotiators may reason before their P5+1 (US, Britain, France, Russia, China + Germany) counterparts, specifically the Americans, that they should work with them or, if negotiations are withdrawn, the West would have to deal with a group of people who embrace war with the West and Israel. This can also be viewed as a reaction to Benjamin Netanyahu’s clear interference in US foreign policy — a policy now backed by a Republican-dominated Congress that is defying the Obama administration’s strategy to bring Iran’s nuclear crisis to an end. However, the fact that hardliners refuse any nuclear compromise with the US makes this hypothesis less plausible and the third argument more so. They firmly believe that unless the Iranians make a huge concession, it is very unlikely that there will be an agreement. The third explanation, which is contrary to the second, is that the IRGC hopes to deepen existing antagonism between both Iran and Israel, and Iran and the US. The goal of the latter is to weaken Obama’s conciliatory, problem-solving position towards Tehran in the face of American hawks on Iran who are pro-Israel. Simply put, the IRGC’s effort is part of the factional infighting between the radicals and moderates over the nuclear issue, and is a clear manifestation of domestic politics influencing foreign policy. Iranian President Hassan Rouhani and his team’s worldview is that Iran cannot live in isolation and constant confrontation. They believe in a world where interdependence necessitates interaction and oppose the realist view that military power is the country’s principle national interest. In December 2014, Foreign Minister Mohammad Javad Zarif commented that Iran has become more secure by pursuing negotiations. The IRGC chief commander, Jafari, criticised Zarif’s position, highlighting “the Islamic Republic’s defence and security capabilities” as the reason for “the failure of the hegemonic powers” in the region and as a support behind the diplomatic apparatus, not the other way round. Shahir ShahidSaless is a political analyst writing primarily about Iranian domestic and foreign affairs. He is also the co-author of Iran and the United States: An Insider’s View on the Failed Past and the Road to Peace, published in May 2014.